Double Strength veterinarian formulated Glucosamine & Chondroitin joint formula. Recommended to support healthy hip and joint function and to maintain joint flexibility and alleviate aches and pains associated with exercise. 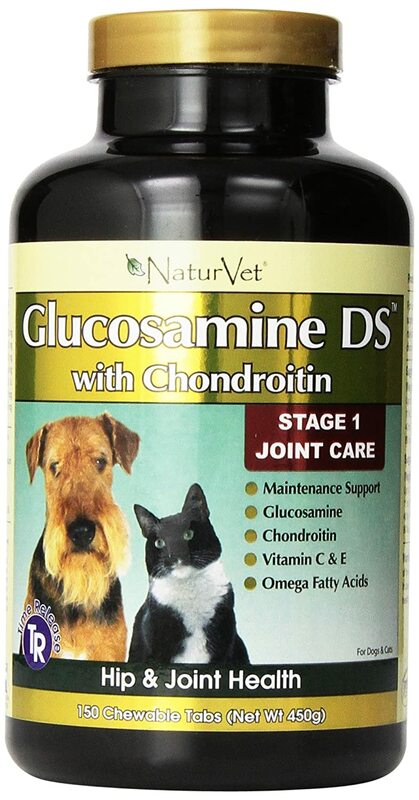 Veterinarian formulated, all natural active ingredient joint formula, combines chondroitin sulfate and glucosamine HCl. It also contains essential antioxidants that help protect against free radicals that cause cellular damage. Glucosamine DS has natural flavoring that makes for a very tasty treat.